Welcome to High Country Tack. 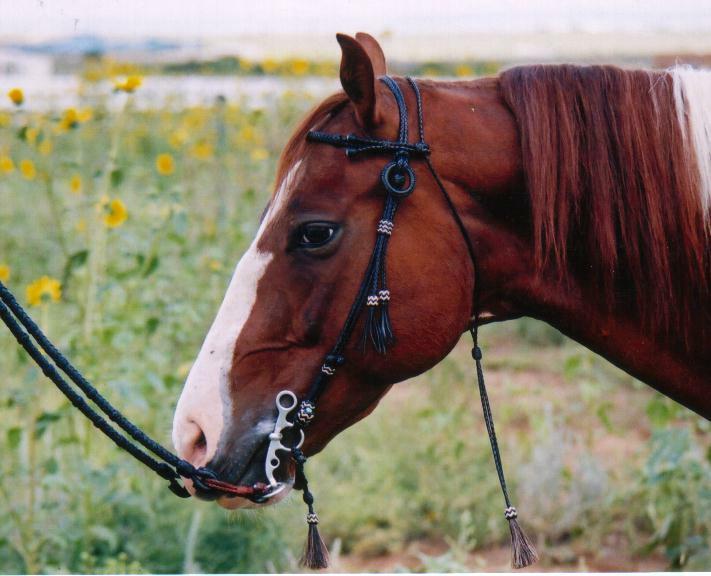 Specializing in fine leather braiding, including Horse Tack, Jewelry and other items. The items shown here are not available but serve as examples of the work I do. Most of my braidwork is done in kangaroo, but I also do some work in cowhide, rawhide and latigo. Over the years I have been asked to make bracelets and key fobs incorporating horsehair from a customer's favorite horse. There are several examples in the jewelry tab.